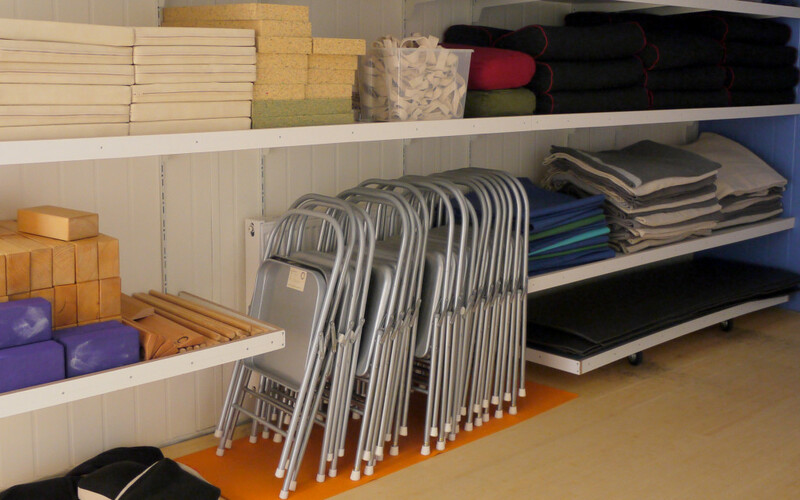 If you have no yoga experience or are new to the Iyengar method we recommend that you attend the beginners class. There is strong emphasis on the basic technique and standing poses to build stamina and gain understanding for some of the more difficult asanas. Inversions (shoulderstand etc) are gradually introduced. If you have about 18 months experience you might feel ready to try classes on a more intermediate level. Asanas are held longer here to go deeper and explore. More difficult asanas are practiced such as backbends and inversions (handstand, headstand, shoulderstand & elbowstand). These classes will be taught according to the average level of the participants. All students should feel welcome here (although raw beginners might feel more at home in a level 1 class). Met Hatha Yoga onderzoek je op een actieve doch ontspannen manier je eigen mogelijkheden en grenzen omdat de yogahoudingen op een zachte en rustige manier worden uitgevoerd. De les bestaat uit yogahoudingen die dynamisch en statisch worden uitgevoerd. Actieve houdingen worden afgewisseld met rustige houdingen. Doordat de ademhaling wordt gekoppeld aan elke beweging, komt je geest tot rust. Bij Hatha yoga gaat het om het verbinden van lichaam en geest met eenvoudige yogaoefeningen. Met deze toegankelijke manier van yoga doen, ben je op een prettige en bewuste manier actief bezig met je lichaam. In these classes children will develop qualities such as strength, endurance, flexibility and balance in a playful way. 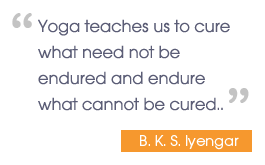 The practice of Iyengar yoga improves gross and fine motor skills and improves posture. Increasing confidence and concentration skills. These classes are suitable for children from the age 8 to 12 years of age. There will be no children’s yoga during the holiday season. Yoga Nidra means “deep sleep”. It is an ancient practice that has been, and is still being, practiced by yogi´s since thousands of years as a compliment to mediation, asana and pranayama. In Yoga Nidra we go into a conscious deep sleep where we go through all the different layers of the mind and body into the deep stillness within. For the yogis since ancient times the practice has been used, and is being used, to clean up old samskara´s – old patterns, which are disturbing the stillness of the mind. In modern days the practice of Yoga Nidra is being used in several more places than in the complete yoga practices ; Army veterans suffering from PTSD are following Yoga Nidra as part of their program to recovery, people suffering from chronic fatigue, burnout, depression, insomnia, high blood pressure and several other stress related disorders find comfort and healing in the practice. A regular practice of Yoga Nidra will allow you to find that peace within and whatever you find there is yours to keep. We regularly offer workshops with a variety of qualified and experienced teachers to deepen your understanding and practice of yoga. Alongside this we also bring courses and activities to empower and nourish such as mediation courses, kirtan evenings, lectures on philosophy and ayurveda, communication workshops etc. Keep an eye on our agenda, or follow us on facebook to receive updates, or better yet, sign up for our free newsletter.